Hello, Gorgeous! 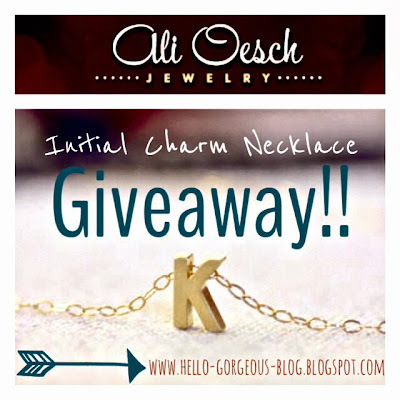 : Ali Oesch Jewelry Initial Charm Necklace Giveaway!! I would style it either stacked with a longer necklace or alone to let other pieces stand out. This piece is so classy! You can wear it with jeans or for a night out. I would style this with a sweater and dress pants for work. I'd wear it every day! I would wear it with a collared shirt and sweater for work. love this! I'd wear it with everything i own! I don't think you can style is wrong. I really don't think there is a "bad" way to style the necklace! I love how sweet dainty jewelry can dress up even a plain t-shirt! I would love to layer this necklace with lots of gold chains and pearls, making my initial pop! So versatile that could be worn with Tshirt and jeans or business attire! Love it! I would wear this everything. It's so cute! This necklace is adorable! Would look great with tops that don't need a statement necklace, especially for a fancier outing! Just came across your blog today and I am in love with your style! As for this necklace, I would probably style it with a sweater, button down, jean and boots, or with my favorite dress for work. Such a cute necklace to make a big statement! I would style this with a sweater and jeans with boots. I think this necklace could go with everything therefore I would style it with whatever I wear everyday!! I would style this necklace with a longer one for a dressy look or where it on its own with casual clothes! i'd wear this to work! I would style it alone with a casual outfit. Maybe skinny white jeans with boots & a chambray top. How would I NOT style this necklace? I'd wear it everyday! I love this necklace. I love how understated it is! I have an adorable elephant charm necklace that I would layer this with! SO cute!! I would wear this necklace layered with my long gold layering necklace. I would wear this quite frequently, but i picture it popping out against a black boatneck long sleeved tee with torn jeans and black riding boots. I would buy little hang off hearts and connect them to it... I'd wear it with every article of clothing I wear so adding cute charms is the way to go. I would wear this with chambray shirt and simple maxi skirt! 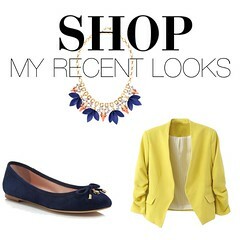 This necklace is a standalone piece that is versatile enough to be worn everyday! It could go with anything! Everyday! I would wear it with anything- my go-to outfit is a vneck, dark skinnies and ballet flats so it would look classic and chic with this cute necklace! I so enjoy your down to earth, affordable style…can't wait to see what you pull together next!! How do you know for sure if that is your name or not? This was such an amazing read. I always find something interesting in your blogs and at artisna.com as well. That is a wonderful place to buy Artisan Gold initial necklace online. Anyway, thanks so much and congrats on your articles! !